"Long may you continue to set standards for others to follow!" I just wanted to let you know how happy I am with the continued service and support provided by Downlands Packaging Ltd and with you in particular, in the account management of our company’s requirements. Your service from start to finish has been exemplary and on a professional, knowledgeable, yet friendly level that far exceeds many other suppliers I have dealt with. Nothing ever seems to be too much trouble for you, and I am never left feeling that I am just one of many customers that you and your company have to deal with each day. 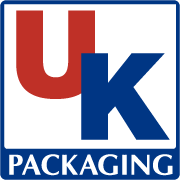 As you know, I regularly attend business group networking events and as a direct result of the long term business relationship and tremendous support we have enjoyed it has been a pleaser to be able to recommend Downlands Packaging Ltd to these groups. Long may you continue to set standards for others to follow! "Downlands have always been keen to accommodate new supply chain initiatives"
Downlands Packaging is a local company, offering local service and competitive pricing, to national and international companies. From stock parts and board, to full custom solutions, they have the capability to understand, design, test and supply a range of packaging to meet strenuous protection requirements, for global shipments. Flexibility to manage Just In Time and Kanban deliveries and order books, is a key asset in their customer service. Supported through buffer stock management and next day deliveries are key to their success. Downlands have always been keen to accommodate new supply chain initiatives, such as EDI, Ship to Line, and Self Bill, in support of customers operational needs. "Downlands understand our requirements and have always been responsive and accommodating." The market we service is not unique, its inability to predict what’s required in a timely manner, necessitates a fast and accurate production process, coupled with a responsive and flexible supply chain. Downlands have provided the latter for our packaging requirements for the past 5 years. With a combination of stock holding, and fast track supply, Maurice and his team deliver the week’s requirement against a PO paced the week before. Due to the physical size of our products, its imperative that deliveries are on time and complete, as any delay would result in the factory being ‘log jammed’ and grind to a halt. Downlands understand our requirements and have always been responsive and accommodating. Ian Bottwood - Operations Director, Turbosound Ltd. Registered Office: Amelia House, Crescent Road, Worthing, West Sussex BN11 1QR. Registered in England No. 2606536 VAT No. 587 5605 94.